Want the best deal on your Heavy Haul Truck Insurance? Save big by letting 3 agents compete for your policy. It’s Fast, Free, and Efficient! You haul big loads—you need an insurance policy that can match up. Easier said than done. Finding the right policy can be hard. Not only are heavy hauler insurance companies harder to find, but the premiums vary widely between carriers. It’s essential to shop around. 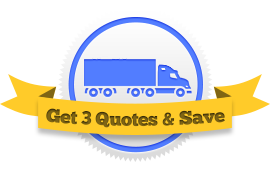 We’ve set up this **Request 3 Quotes** page to get you in touch with three different agents that write heavy haul truckers. That way, you can let the different agents compete for your business and then pick the policy that works for you. Best of all, our service is free, without any strings attached. How Much Does Oversize Trucking Insurance Cost? Due mostly to the valuable cargo you’re transporting, most Heavy Hauling Truck Insurance policies cost between $7,250 and $14,000 a year. Be aware that if you request one of these things, you could be responsible for a higher out-of-pocket cost in the case of an accident. Talk it over with your agent and decide what’s best for your operation. Liability Coverage – Coverage that you’re legally obligated to get. It pays for others’ property damaged in an accident in which you’re at fault. To get the best loads, you may want $5,000,000 in liability as many shippers look for that. Collision Coverage – Insures your tractor and heavy hauler trailer from damage caused by a collision with another motorist. Comprehensive Coverage – Covers things like fire, theft, or natural disasters. Basically anything other than a collision. Cargo Insurance – Insurance for the freight you carry. This coverage is particularly important for Heavy Haulers. Talk to your agent about customizing your cargo insurance to cover only the things you haul and nothing else. Loading and Unloading Coverage – Important coverage that goes hand-in-hand with Cargo Insurance. Insures against damage done while loading freight onto your trailer or off of your trailer. Ramp, Chain, Tarp, and Binder Coverage – This coverage protects the equipment you use to secure cargo to your flat bed trailer. Combined Deductible – Without a combined deductible, you are responsible to pay deductibles for each of your separate coverages. This combines them all into one low deductible. Sue and Labor – Also known as Loss Mitigation, this coverage insures against any losses that follow a reported accident. Debris Removal – Covers the removal of any freight dropped onto the roadside after an accident. Without it, you are responsible for clean-up. Oversize, Wideloads over 8’6″, Over-dimensional loads are lucrative to haul. Even with the extra permits involved and increased insurance costs, many truckers haul heavy loads because they are more profitable. The best known strategy to lowering your insurance premium without sacrificing important coverage is to compare policies from multiple agents. No matter where you are in the country, from California to New York, Florida to Washington, or anywhere in between, we’ll bring you 3 agencies to compete for your business. 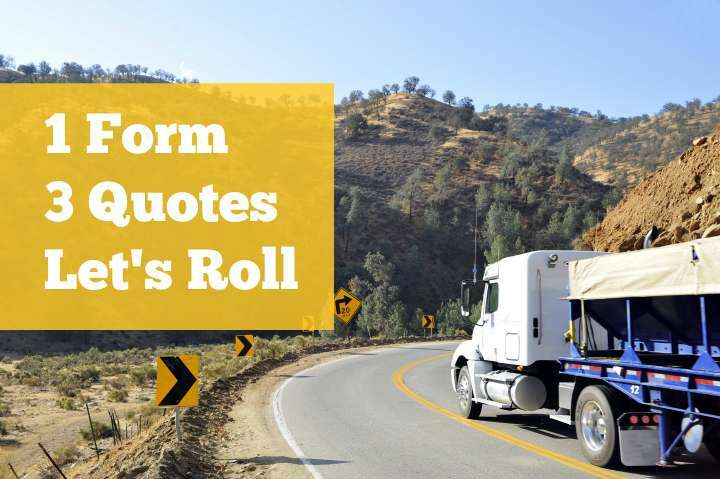 Simply fill out a free short form, and we’ll connect you with three different heavy haul insurance agents who’ll then compete for your business. Easy!